One minute of daily writing is better than twenty minutes every two weeks—let this fun and helpful handbook of quick, easy writing prompts show you why short bursts of writing are essential to flexing your creative muscles to create your best work! Are you a “would-be” writer? That is, someone who wants to write, but finds themselves too busy, too tired, or just uninspired. The 1-Minute Writer has the solution to all of those problems and shows you that you can start writing—and keep the creativity going—every day, no matter how little time you have. The 1-Minute Writer includes writing prompts you can complete while standing in line for coffee, riding the subway home after work, waiting for your kid at the dentist—and everywhere in between. Each prompt has four variations: a one-minute prompt, a five-minute prompt, a ten-minute prompt, and a twenty-minute prompt. You can choose prompts based on both the time you have available and the kind of writing you’d like to do. Watch the words pour out of you when you realize just how easy writing is when you tackle it in manageable chunks! There are a lot of writing books out there—maybe you’ve tried some before—but none quite like The 1-Minute Writer. Let these brief prompts encourage and empower you to become the writer you’ve always known you are! Leigh Medeiros is an award-winning artist, writer, coach, and story development editor. She supports artists of all kinds through her coaching and story development work as well as through her online program 48 Days of Creative Devotion. Leigh lives with her husband and blind rescue dog in a wee beach house on the shores of Narragansett Bay. "Creating a daily writing habit can be as simple as learning to write one minute per day. 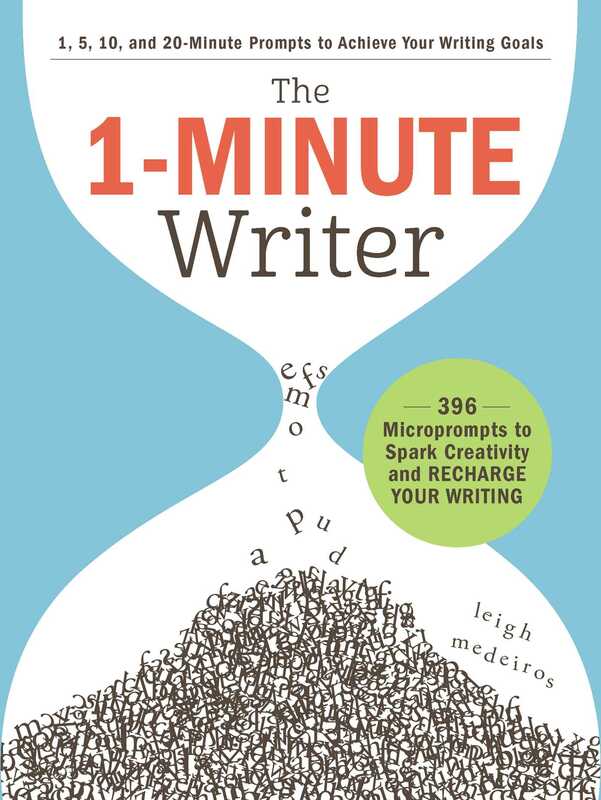 In Leigh Medeiros' The 1-Minute Writer, you'll find nearly 400 writing prompts that can be completed in one minute's time." "Playful, practical and inventive...you'll find interesting, simple creativity-booksting writing prompts. So savor that minute, and create away." "You can add a little bit of creativity to your everyday with Leigh Medeiros’ The 1-Minute Writer … no matter how busy your day is. Whether you are someone who loves to write, or are just looking for a new way to grow creatively, this is the perfect addition to your collection. The prompts throughout are inventive, and each of the themes will push you to create something that might fall outside of your comfort zone."